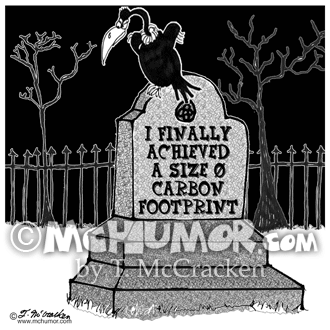 Environment Cartoon 8336: A tombstone has the inscription, "I finally achieved a Size 0 Carbon Footprint." 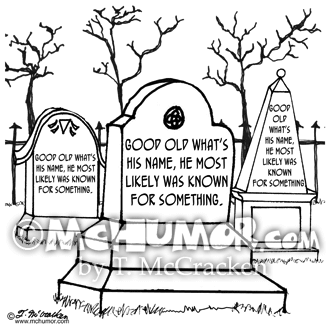 Cemetery Cartoon 8564: A bunch of tombstones have the same inscription, “Good Old What's His Name, He most likely was known for something." 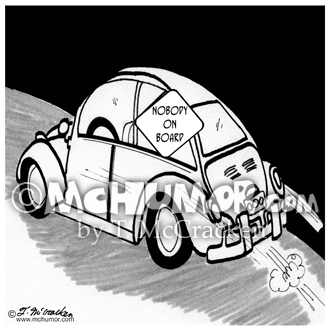 Driving Cartoon 2587: An empty car has a diamond that says, "Nobody on Board." 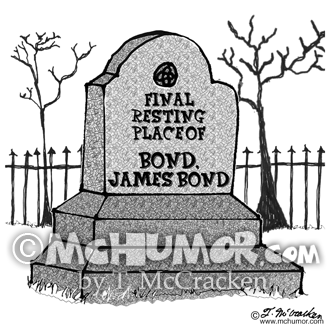 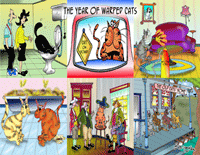 Bond Cartoon 8877: A tombstone says, "The Final Resting Place of Bond, James Bond." 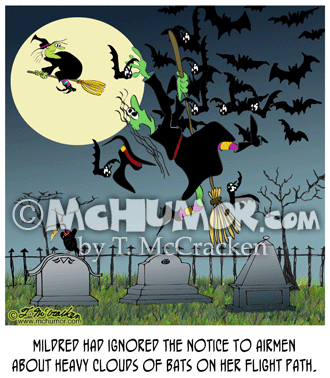 Witch Cartoon 8855: "Mildred had ignored the Notice To Airmen about heavy clouds of bats on her flight path." 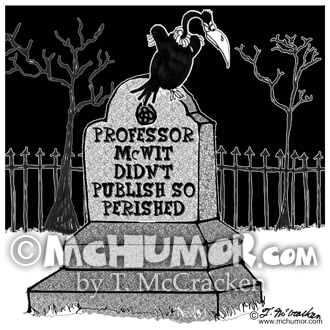 A witch on a broom is surrounded by bats. 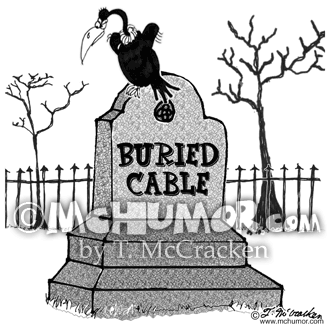 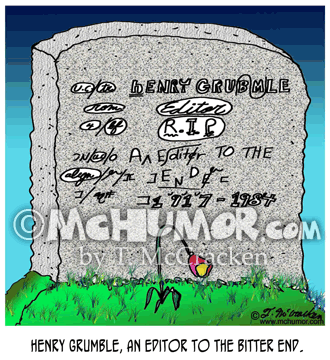 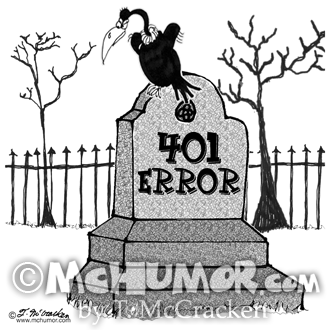 Utility Cartoon 2750: In a grave yard one tombstone says, "Buried Cable." 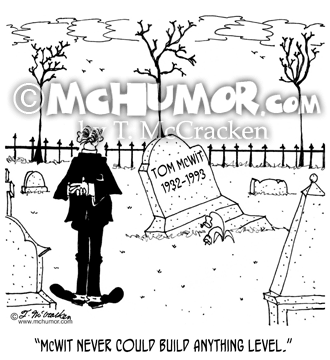 Building Cartoon 6353: Looking at a tilted tombstone that says "Tom McWit, 1932-1993," a man says, “McWit never could build anything level."